In 2016 Arbor Hospice formed an alliance with Hospice of Michigan to create NorthStar Care Community, dedicated to strengthening and expanding the mission of nonprofit hospices throughout Michigan and beyond. The NorthStar Care Community leadership team provides oversight for Arbor Hospice, Hospice of Michigan and the services they offer including NorthStar Palliative Care, Anchors Programs for Children and NorthStar Institute. Mr. Cahill became President and CEO of Arbor Hospice on January 1, 2016, when Hospice of Michigan and Arbor Hospice established an affiliation to preserve the legacy of nonprofit hospice and palliative care. As the leader of the affiliated organization, he also serves as President and CEO of Hospice of Michigan, a role he assumed in January 2014. In this expanded role, he also serves as President of the Board, Arbor Hospice, Inc. and sits on the board of the Arbor Hospice Foundation. Before coming to Arbor Hospice/Hospice of Michigan, Mr. Cahill was Vice President of Operations at Value Health’s largest division – Great Lakes Region, based in Southfield. Value Health’s Great Lakes Region was a managed care operation responsible for managing care for 3.5 million individuals. 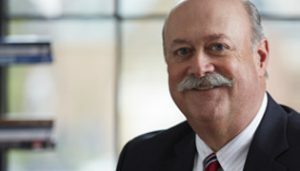 Mr. Cahill is also the President of the Hospice of Michigan Board of Trustees, and serves on the board of the Hospice of Michigan Foundation as well as on the Detroit Economic Club Board of Directors. He was appointed by Governor Rick Snyder to be a public board member of the State Board of Mortuary Sciences. Patrick’s background also includes a cultural exchange program in the Middle East and a fellowship with Diné College on the Navajo Nation. First joining Hospice of Michigan (HOM) in 2000 as Controller, Lee Ann stepped in to the role of Vice President, Finance/Chief Financial Officer in 2010. With the formation of NorthStar Care Community in 2016, Lee Ann’s role expanded to encompass both Arbor Hospice and HOM. 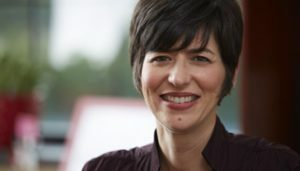 Lee Ann was elevated to Executive Vice President in 2017. 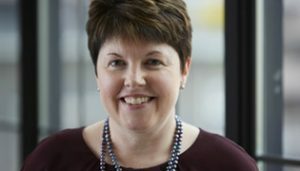 As Senior Vice President Community Relations for NorthStar Care Community, Marcie Hillary oversees all fundraising initiatives and works collaboratively with the Arbor Hospice and Hospice of Michigan Foundation Boards. With a statewide staff, Hillary’s role is not only to raise money to fund programs but also to raise awareness for Arbor and HOM’s non-profit mission to serve all who need our help regardless of their ability to pay. The fundraising team focuses on a strong annual fund along with major and planned gifts, grants and high-profile events. Some of the Foundation’s most successful fundraising and awareness campaigns have included: The Mask Project, Savor the Journey, Chris Van Allsburg Movie Premieres (The Polar Express 2004, Zathura 2005 and Jumanji 2017), Ace of Cakes, Ernie a play by Mitch Albom, Chandeliers in the City and Barley Barbeque and Beats. As Senior Vice President of Medical Affairs for NorthStar Care Community, Dr. Paletta oversees a team of licensed providers providing care to more than 1,700 patients each day through Arbor Hospice and Hospice of Michigan. Dr. Paletta guides policies and protocols related to patient care. Since starting his hospice career twenty years ago, he has seen the dramatic shift in acceptance of hospice and palliative care by patients facing life-limiting illness, and the increase of services available to them. Dr. Paletta is a graduate of Wayne State University School of Medicine in Detroit. He completed his residency at William Beaumont Hospital in Royal Oak, and is board certified in Internal Medicine. He was awarded a fellowship in Geriatric Medicine at the University of Michigan in Ann Arbor, and earned a CAQ in Geriatrics. He received certification under the American Board of Hospice and Palliative Medicine, and re-certification under the American Board of Medical Specialties (ABIM). Dr. Paletta is a distinguished Fellow of the American Academy of Hospice and Palliative Medicine. In September 2016, Dr. Paletta was appointed by Gov. Rick Snyder to serve a two-year term on the Michigan Prescription Drug and Opioid Abuse Commission. Dr. O’Neil became Arbor Hospice’s Medical Director in July 2013. 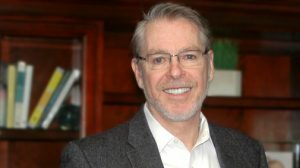 As our Medical Director, Dr. O’Neil provides physician education and coordination for all Arbor Hospice physicians, facilitating bi-annual physician meetings, working with clinical leaders to standardize team meetings, and educating the community on end-of-life care. 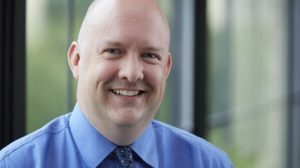 In addition to his role with Arbor Hospice, Dr. O’Neil is a family medicine physician with the University of Michigan Health System and a member of the palliative care consult team. He attended Wayne State University School of Medicine and completed a residency with University of Michigan Health System. Dr. O’Neil is board-certified in family medicine and hospice and palliative medicine. He can be reached at toneil@arborhospice.org/. Dr. Marks joined Arbor Hospice in July 2013 as Arbor Palliative Care’s Medical Director (Arbor Palliative Care has since changed its name to NorthStar Palliative Care). In this role, Dr. Marks provides palliative care consultation services to patients in the community, educates physicians on the differences between hospice and palliative care, and facilitates program development and education for NorthStar Palliative Care’s nurse practitioners. In addition, Dr. Marks is a general pediatrician at the University of Michigan Health System’s Mott’s Children’s Hospital and a member of the palliative care consult team with the University of Michigan Health System. He attended medical school at the University of Wisconsin and completed a residency with the University of Michigan Health System. Dr. Marks is board-certified in internal medicine, pediatrics and hospice and palliative medicine. He can be reached at amarks@arborhospice.org/.